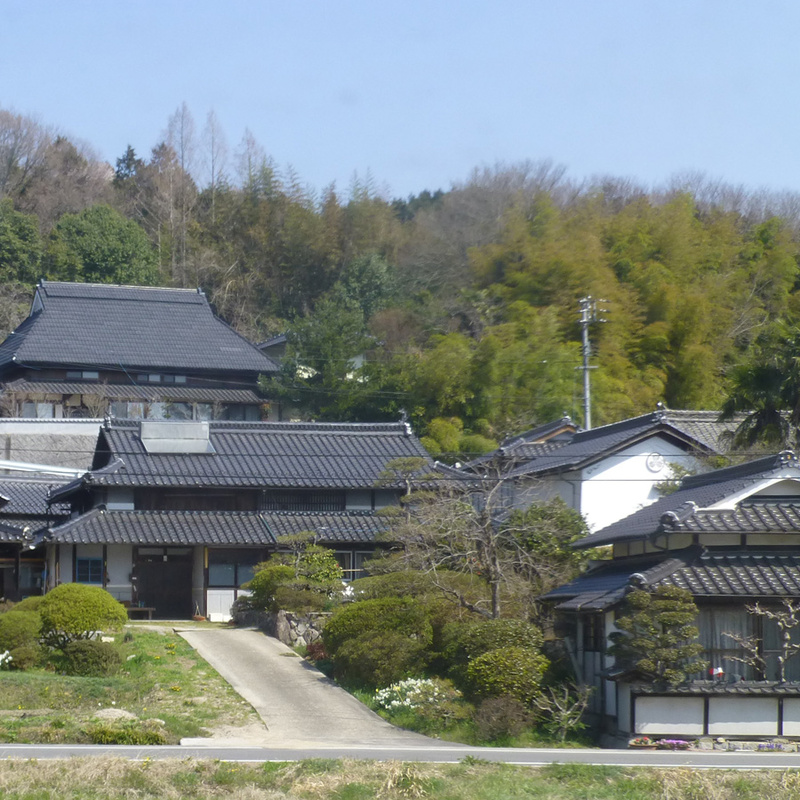 We left Tsuyama and headed north, it was an equally small and slow train service that we arrived on and reaffirmed our views that Tsuyama is the kind of place people drive to. The train stopped at a number of small villages and ferried school children up the line to their schools. There might not have been many services on offer that day but it was still popular enough though few people were going as far as we did. Further north our journey saw us threading between mountains and twisting alongside the river for much of the way. 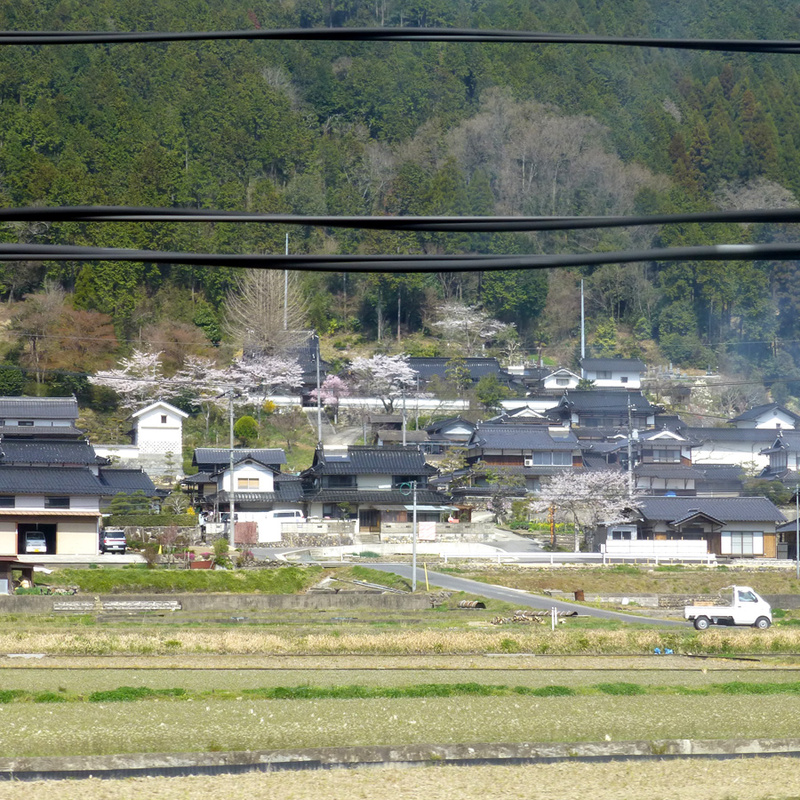 There was cherry blossom trees, tall pines and agricultural fields to admire. 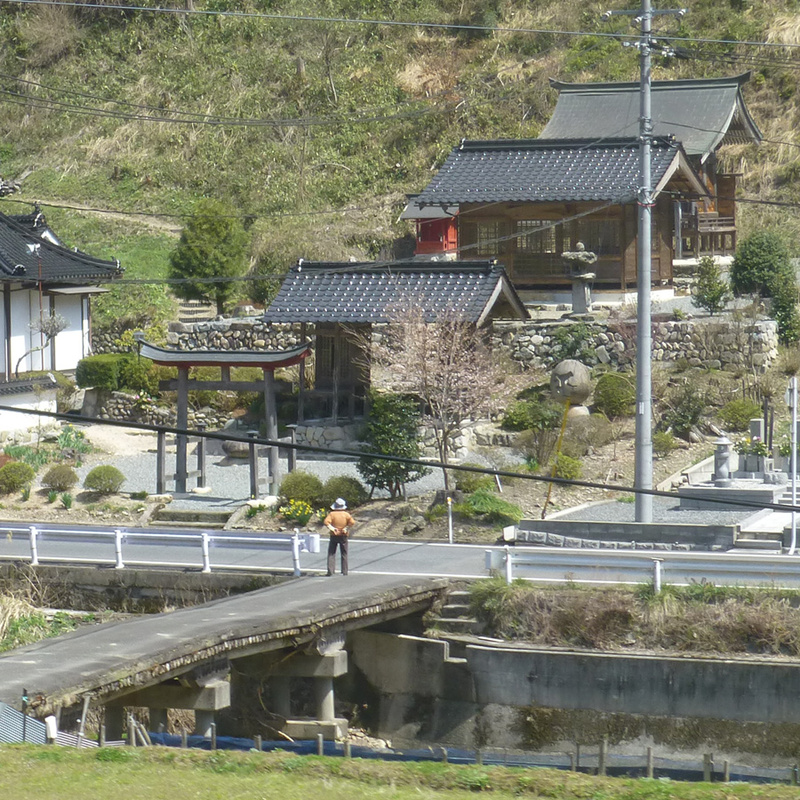 Despite long stretches of tunnels as we buried our way through the mountains there were lots of fascinating glimpses into some very remote areas of Japan. 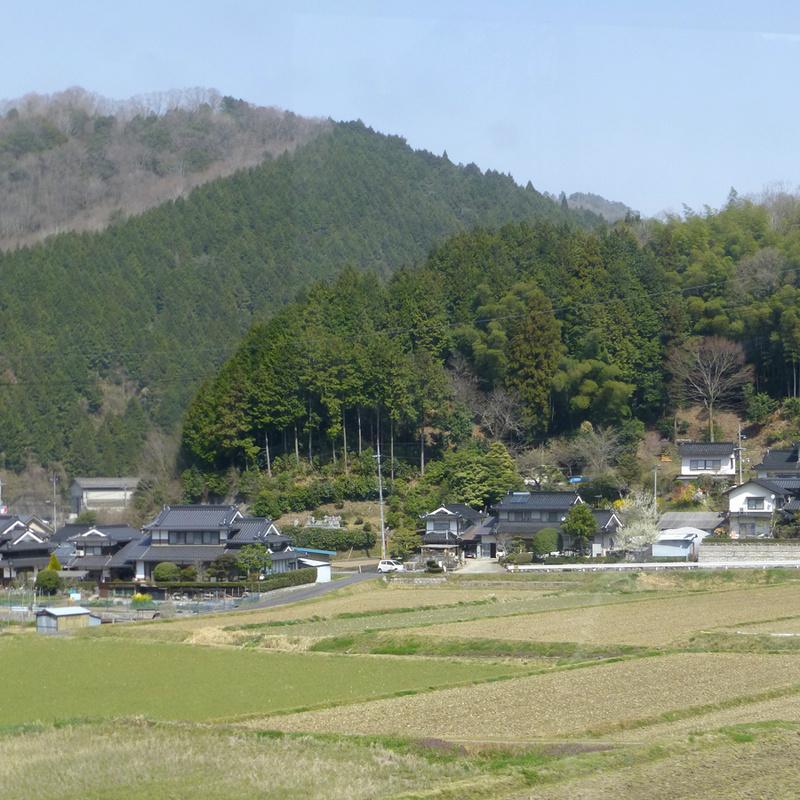 Small clusters of houses at the foot of small valley of mountains. Flying carp banners posted outside the biggest house in town. A topiary farm. The tiny square golf courses barely big enough to putt a few balls in. The bridges over the river and the towering trunks of the pine trees.